Pio Pio translates to tweet tweet in Spanish! A whimsical metallic can be seen across the front of this sweet Pio Pio Mary Jane from Livie and Luca. 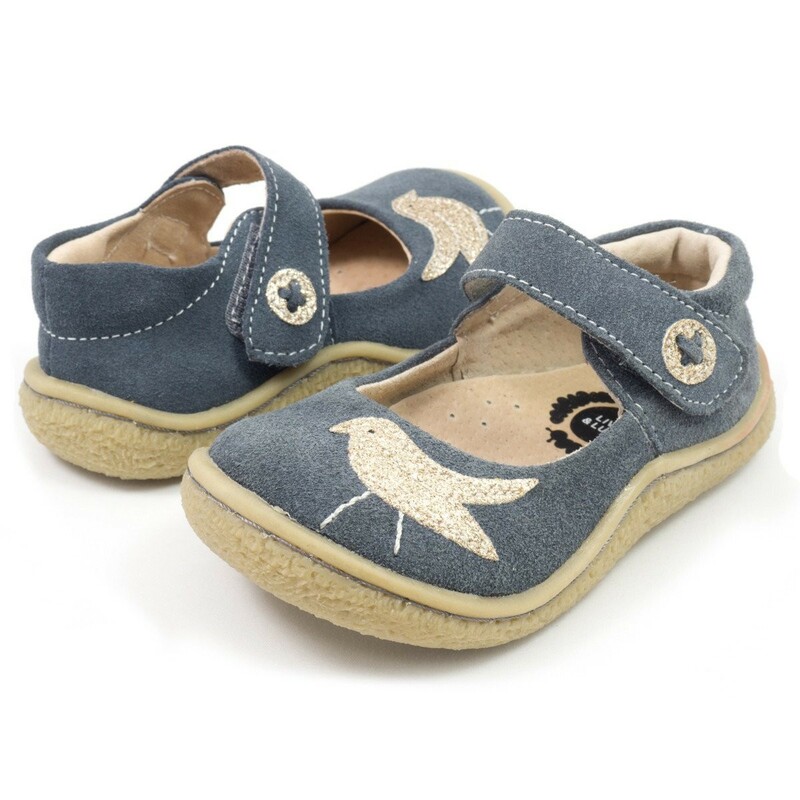 Little girls will love this unique shoe, flexible enough for new walkers and playful kids, with added features like a faux button appliqué on the strap for added charm. 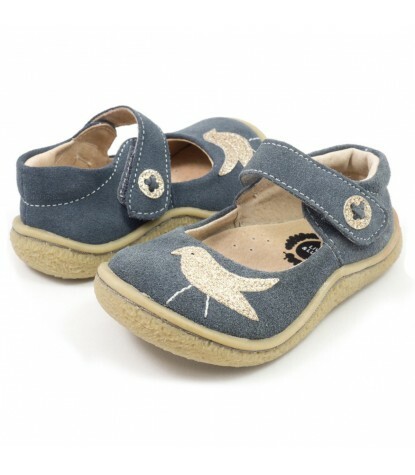 Covered in soft gray suede and with plenty of wiggle room for little toes, it's sure to be her new favorite!